Instructional technology is tools that help transform a lesson into an engaging activity that makes the work process shift more to the student and allow students more creativity. 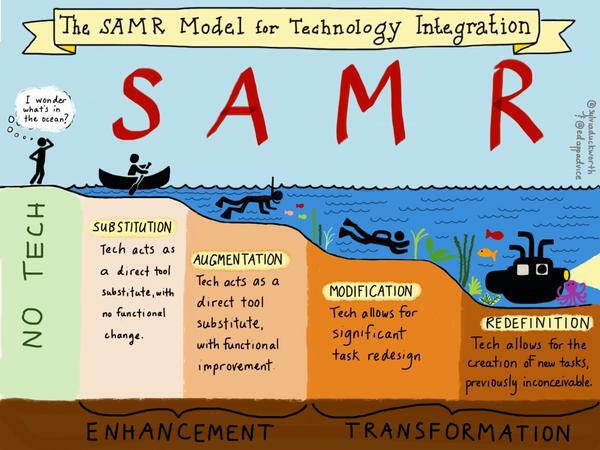 Technology integration usually follows the SAMR model. Most teacher start a substitution where they take technology and replace what they are currently doing with it but with little change. Then it slowly shifts to augmentation and modification where technology is essential to the lesson.